Gardening is a fun activity that you can do all year. Some vegetables, like tomatoes, are grown in the summer. Others are grown in the spring or fall. Cabbage is a cool-season vegetable, so plant it in early fall or in early spring. 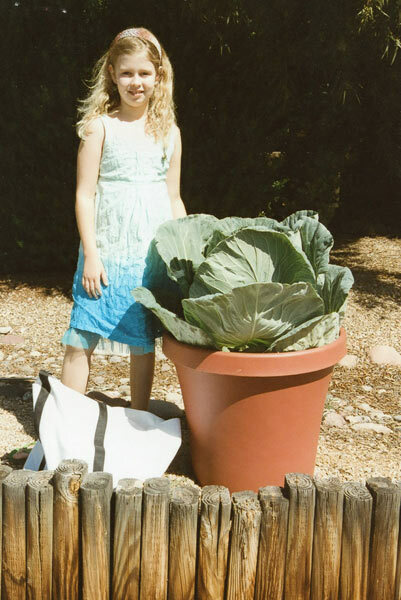 You don’t need a big garden to plant and grow your cabbage. If you live in an apartment or small house but have a spot that receives full sun, you can grow a cabbage in a container. Here’s how to plant your cabbage, whether in the ground or in a container. Miracle-Gro® Shake ‘n Feed® Tomato, Fruit & Vegetable Plant Food or other plant food. Step 1. Working together, adults and kids should pick a planting spot that receives full sun. As with any planting, choose a spot away from any buried cables, wires, or pipes. Allow 3 feet on all sides of your planting hole for your cabbage to grow. Step 2. Use a spade or shovel to loosen the soil, then mix in a few shovels of compost to enrich the soil. Make a small hole with your hands or a trowel. Step 3. If your cabbage comes in a biodegradable pot, drench it with water and carefully cut off the label. Tear off the bottom of the pot and gently tickle the roots to loosen them, then tear off the rim of the pot. Place your cabbage in the hole, pressing down a little to help the roots make contact with the soil. Plant it so an inch or two of the stem is buried. Step 4. Fill in the hole around your plant, and press the soil firmly to remove air pockets. Step 5. Gently water your plant using a watering can or a hose with sprinkler nozzle. Feed your plant according to fertilizer package instructions. Step 1. Choose a spot for your container that receives full sun. This may be a deck, patio, porch, or driveway. Your container should be at least 12 inches deep and 18 inches wide. It should have a drainage hole in the bottom. Step 2. Fill the container with premium quality potting soil. 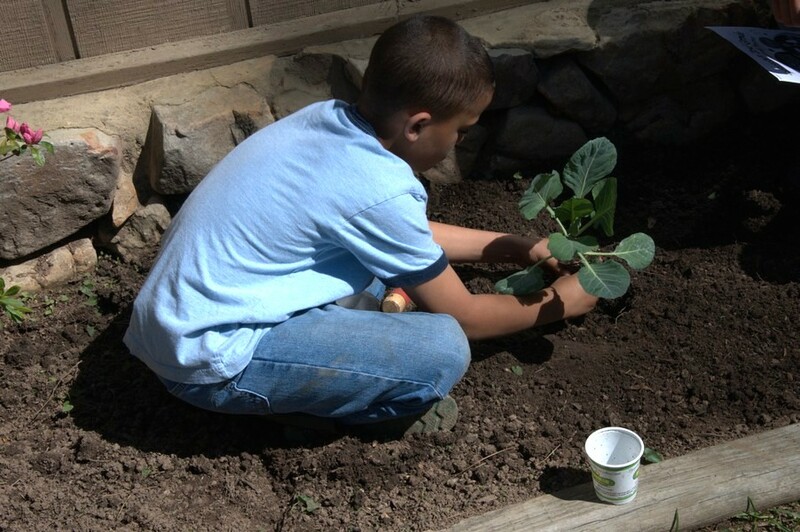 Using your hands or a trowel, dig a hole for the cabbage. Learn more about caring for vegetables in pots on the Bonnie Plants website.